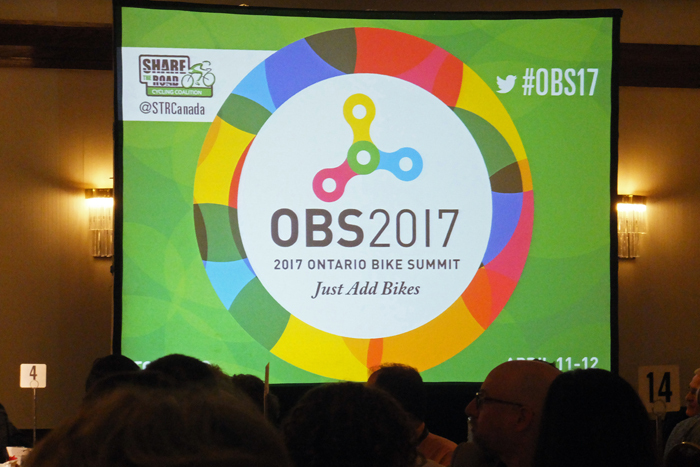 Brampton awarded Bicycle Friendly Community Bronze at Ontario Bike Summit on Apr 11, 2017. Brampton was pleased to be awarded Bronze status at OBS awards dinner ceremony last night. On hand to accept this hard-earned award were cycling advocates and members of Brampton Cycling Advisory Committee and BikeBrampton, Kevin Montgomery, Pauline Thornham and Dayle Laing. From City of Brampton was Henrik Zbogar, Acting Director, Planning Policy & Growth Management. 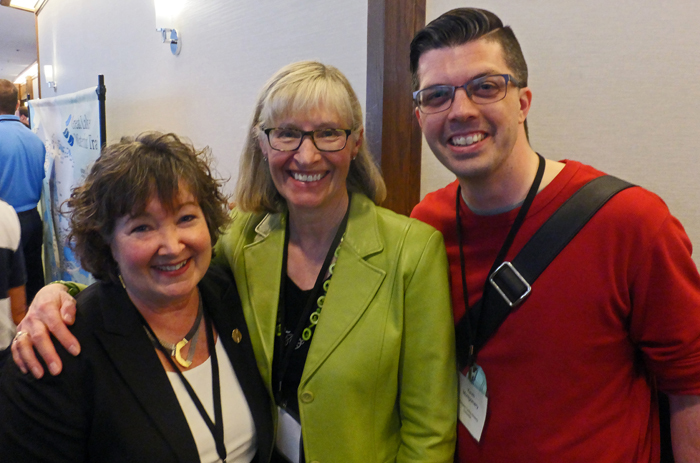 Ontario Minister of Natural Resources and Forestry Kathryn McGarry (MPP-Cambridge), Dayle and Kevin chat at Ontario Bike Summit 2017. Minister McGarry cycled in Bike the Creek last year. With a city on the verge of bankruptcy, 68% unemployment, average annual salary around $24,000, Detroit went from 72 miles to 200 miles of bike lanes in a short space of time. Detroit has 50 bike clubs! They put in ‘pop-up’ bike lanes and pedestrian plazas and then count the useage. They are even putting in a bike lane on the new Gordie Howe International Bridge to connect Detroit and Windsor! Ontario Bike Summit was well supported by the Ontario Government, including MPPs from the All-Party Cycling Committee. 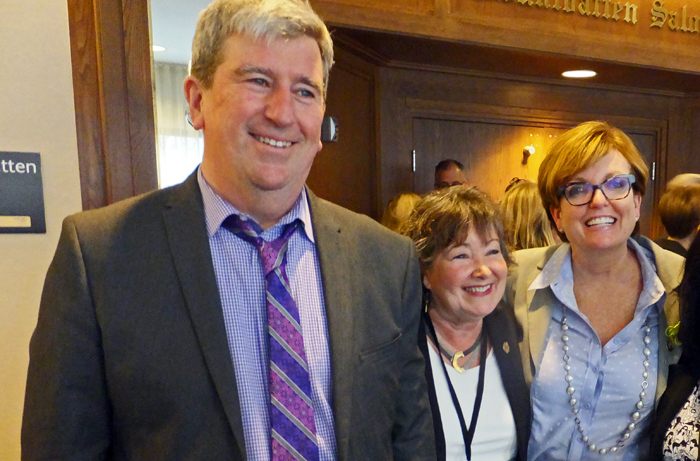 In attendance were: Minister of Environment and Climate Change Glen Murray, Minister of Natural Resources and Forestry Kathryn McGarry and Minister of Tourism Culture and Sport Eleanor McMahon. Also receiving Bronze awards were Belleville, Collingwood, Cambridge, Ingersoll, Kingston, Cornwall, St. Thomas, Temiskaming Shoresand Whitby. We offer congratulations to these other communities. Currently 68% of Ontarions live in Bicycle Friendly Communities! Brampton is in good company!